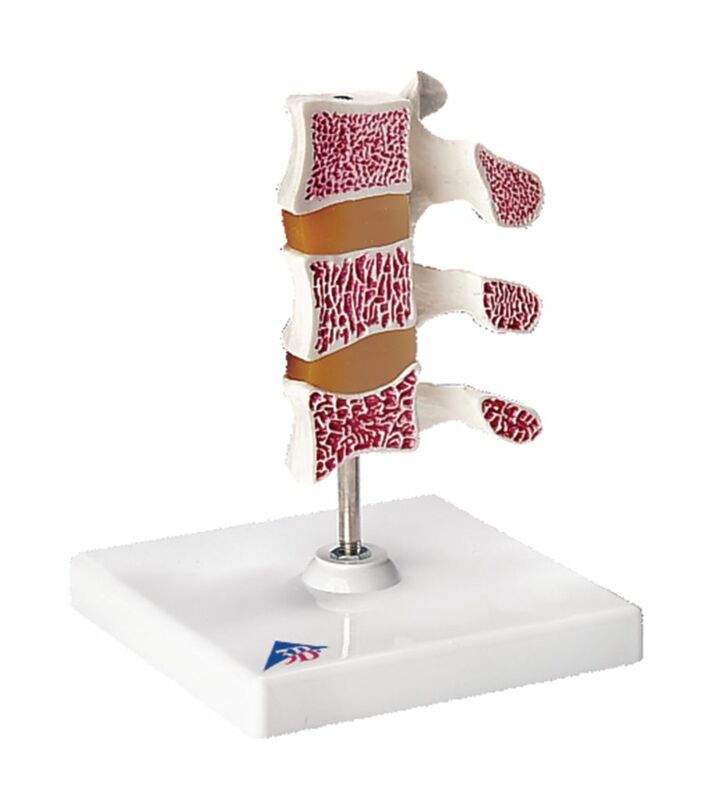 This osteoporosis model consists of 3 medially divided lumbar vertebrae with intervertebral discs. For anatomical comparison, the upper section shows healthy bone structure, the middle section osteoporotic bone structure and the lower section advanced osteoporotic bone structure with flattened plates, deformation and decreased bone mass. 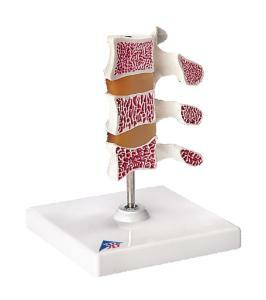 For detailed anatomical study the vertebrae can be removed from the stand.